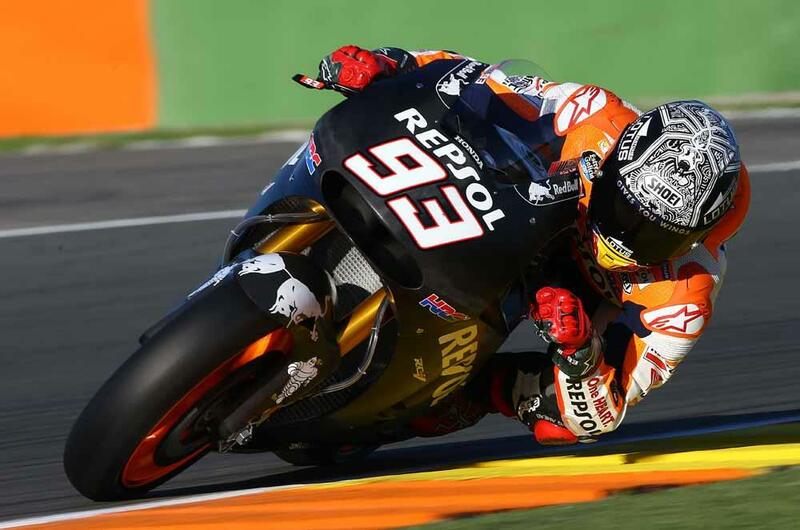 Marc Marquez spent the second day of the Jerez test focusing on the use of the spec electronics and understanding how to get the most from the new software package.
" I rode all day with the Magneti Marelli," said Marquez. " I tried both engines, but I really concentrated all day with the new engine. Because I think, already, working on the new electronics is slow, takes a lot of time, and I see that with the 2015 engine, and the 2016 engine, we need a completely different map. Because it's a different character of engine. So we just concentrate on the new one, then maybe tomorrow we will try again the old one, but we will see, we must check well now. But still, with one engine or the other one, we are far from the best level of Magneti Marelli." 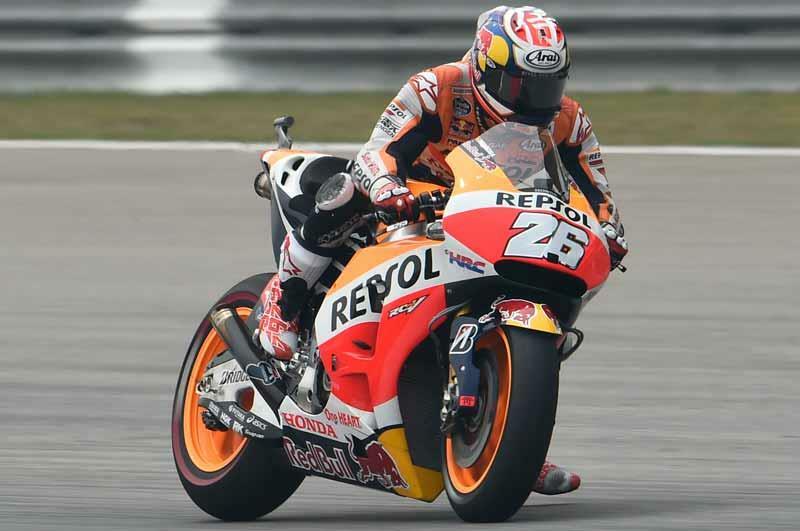 The new engine had been hoped to cure Honda's problems from this year but on first inspection both Marquez and Dani Pedrosa felt little improvement with the new unit however Marquez did feel that the power characteristics are different now. "Last year's engine was aggressive at the top end whereas now we have more power in the bottom. We still don't understand the correct way to deliver this torque. It looks like aggressive in the bottom, but then smoother in the top compared with last year. We must work, because if we reduce too much, then we get aggressive in the top, so we must check to find the correct balance." This test in Jerez is key for finding that balance for Honda but one thing is clear after the opening two days-Honda has not found any definitive answers about the new engines and whether they offer a concrete improvement. With the Michelin tyres also being tested once again Marquez spent time trying to get a better feeling with the bike and how it reacts to the French rubber. As has been the case throughout the year the front tyre is still the concern for riders but in Jerez Marquez has said that the rear tyre is also weaker than he had been used to in previous outings. "We are struggling with the front tyre, which is still difficult to understand, but Michelin is working there and I think this will improve. At the moment when the tyre is new you can adjust your riding." The issue is also clouded somewhat with the World Superbike riders testing on Pirelli rubber and leaving the track surface covered in marbles. When asked if this was having any effect on the grip from the Michelin tyres Marquez said this was the theory that the French tyre manufacturer believe. "This is what Michelin think. Because we are complaining that about the rear grip is not so good. The front, we know that the character is more or less like Valencia, but we are complaining that here the rear grip is not perfect. So they have this question mark that maybe it is the Pirelli rubber, that we have many Superbike riders riding and then the track you see is full of rubber, and maybe is not working well with the Michelin, but you don't know. Maybe Michelin tire with a lot of Michelin rubber will be the same, but this is something that they think, but we cannot guarantee 100%."